There are over 10,000 near-Earth objects (NEOs) that have been identified so far — asteroids and comets of varying sizes that approach the Earth’s orbital distance to within about 28 million miles. Of the 10,000 discoveries, roughly 10 percent are larger than six-tenths of a mile in size — large enough to have disastrous global consequences should one impact the Earth. First discovered in February 1950, 1950 DA is a 1.1-kilometer-wide asteroid that was observed for 17 days and then disappeared from view. Then it was spotted again on Dec. 31, 2000 — literally on the eve of the 21st century. 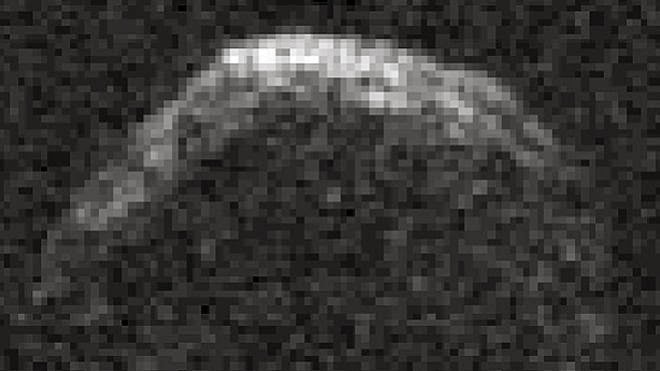 Coupled with radar observations made a few weeks later in March 2001 it was found that, along with a rather high rotation rate (2.1 hours), asteroid 1950 DA has a trajectory that will bring it very close to Earth on March 16, 2880. How close? Close enough that, within a specific 20-minute window, a collision can not be entirely ruled out.